Ricardo Villela Marino, founder of Humanitas360, gives opening remarks. Gilberto Waller Junior, ombudsman of the Transparency Ministry of Brazil, participates as a panelist. Professor Lidiane Dias from the Federal University of Pará speaks at the discussion panel. Luis Alberto Moreno (President of the Inter-American Development Bank) speaks at the event. 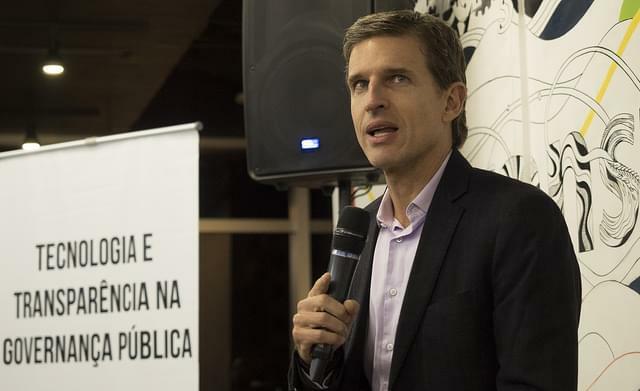 Ivan Costa, president of the Social Observatory of Belém, participates as a panelist. Emilie Reiser from MIT Media Lab. Professor Gisele Craveiro from the University of São Paulo speaks during the event. A little over a year, when Humanitas360 started a partnership with MIT Media Lab to study the app Promise Tracker in Brazil, the institute was seeking to develop the platform, but it did not imagine all the outcomes the project would have. 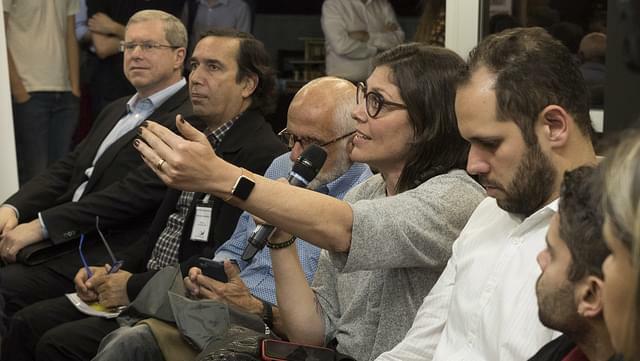 On May 31, H360, in partnership with the Inter-American Development Bank (IDB) and MIT Media Lab, gathered partners and supporters for a panel discussion about transparency and civic technologies. 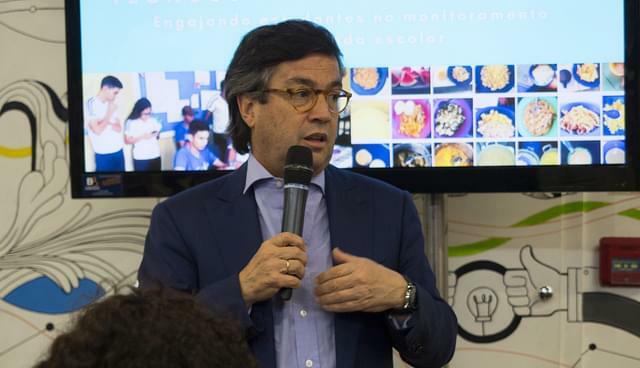 The event also marked the conclusion of the project that investigated the engagement of public high school students in Pará concerning school meals. 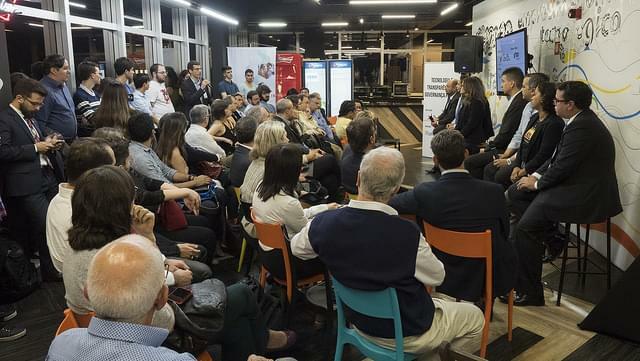 The event, which happened at Cubo in São Paulo, counted with the presence of Luis Alberto Moreno, the president of IDB, Gilberto Waller Junior, ombudsman of the Transparency Ministry, and João Marcelo Borges, Education Specialist at IDB. “Since we’ve started working with MIT, we were particularly interested in investigating how civic technologies like Promise Tracker (known as Monitorando a Cidade in Brazil) work in the citizens’ context. Do those tools actually work? How does the process of citizen engagement happen through new technologies? 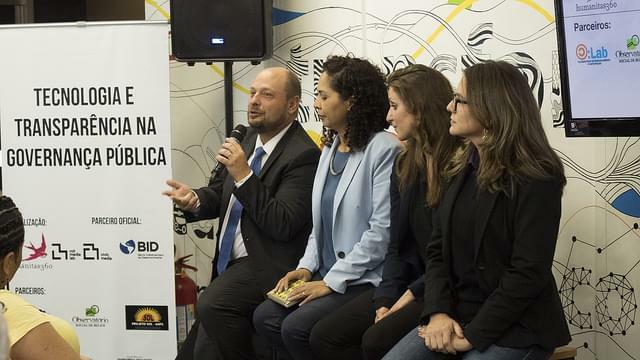 These were some of the questions that we wanted to study with the objective of fomenting civic movements and greater citizen participation,” said Piero Bonadeo, vice-president of H360. The project was able to study the process of monitoring in 28 public schools, in which about 26,000 students are enrolled, in Santarém, Belém and Ponta de Pedras (cities in the northern state of Pará). The monitoring took into consideration the frequency and quality of meals. In Santarém, the collected data was delivered to the Public Ministry that was able to promote measures to improve the service. During the process, students also had the opportunity to learn about several topics such as the process of monitoring public services, keeping elected officials accountable, among others. 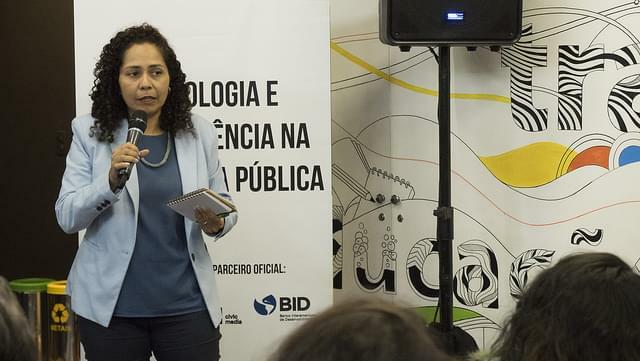 “The cases that we’re following in Santarém and Belém are clear examples that social mobilization is key for civic technologies to work and attain scale. 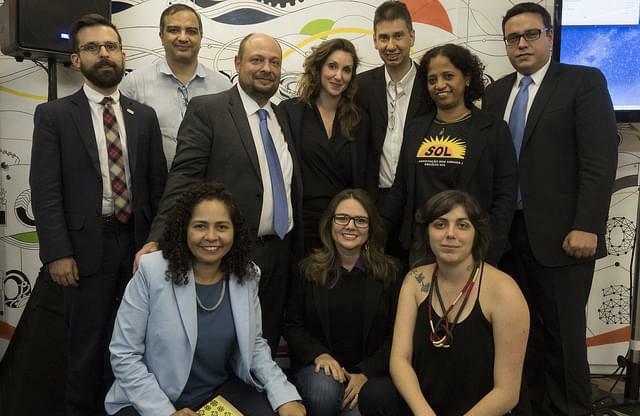 Our institute is very happy and honored to see all of the results that this project yielded in one year,” said Patrícia Villela Marino, president of H360. 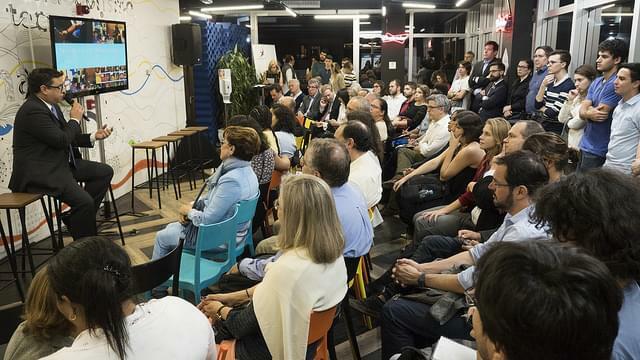 With a packed venue, the panel discussion, which was moderated by H360’s Paulo de Rezende, gathered all of the partners: Emilie Reiser (project leader at MIT Media Lab), Professor Gisele Craveiro (director of Co:Lab-USP), Ivan Costa (president of the Social Observatory of Belém), Eliana Mara (founder of Project SOL), Professor Lidiane Silva (Federal University of Pará) and Marcelo de Paula (Federal Auditor of the Ministry of Transparency, Supervision and Control – CGU). “Complex problems in our society require the participation of a wide group of actors committed to finding solutions. In this case, monitoring school meals in the public education system of Pará, the Humanitas360 Institute had the honor to meet and collaborate with engaged young citizens, the academy, civil society, and public organs. 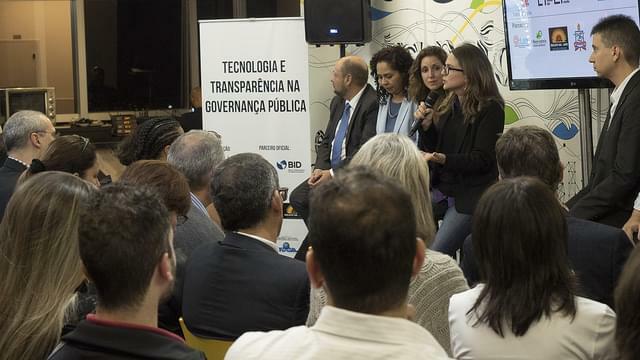 We believe that, energized by the students’ engagement and ample support of partners, we were able to show the importance of citizen engagement in the process of improving public services,” emphasized Paulo de Rezende, project leader at H360. H360 will continue to support the work of citizen participation through Promise Tracker in Pará. The new stage of the project will count with the support of the Federal University of Pará and of CGU. Both organizations will follow and analyze the collection of data by students about school meals in 15 schools in Belém. It is important to remember that, although Promise Tracker has been used to monitor schools meals in the cases with which H360 has been working, the app can be employed to evaluate and monitor any public service. The app is open source and available to everyone at no charge. Read the full report of the research in Pará HERE.